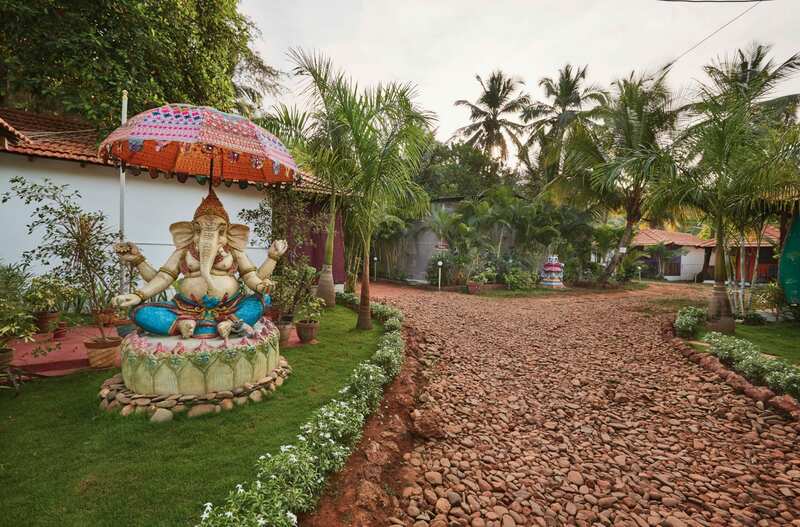 Escape to the haven of Sampoorna yoga school for one of our rejuvenating yoga retreats. Sampoorna’ is a Sanskrit word which means ‘full’, ‘total’, ‘absolute’. 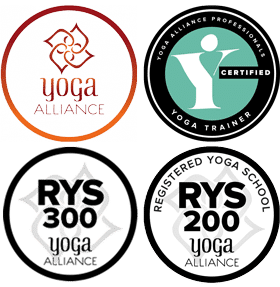 This totality is reflected in Sampoorna Yoga’s respect for all traditions of yoga and acceptance of practitioners of all traditions and lineages from all over the world. And for this reason, we open our doors for all teachers who want to share the beauty of yoga with their students, in a stunning tropical getaway. We are located in front of Agonda Beach, in South Goa, India. Agonda, a 3km long stretch of white sand, is well known as one of the most beautiful, isolated, serene, calm and quiet beaches in India, and it is rated as one of the best beaches in Asia. Agonda is the perfect beach to unwind, sunbathe, swim and meditate, and with its west facing shores you can also experience some of the most extraordinarily beautiful tropical sunsets the sub-continent has to offer! 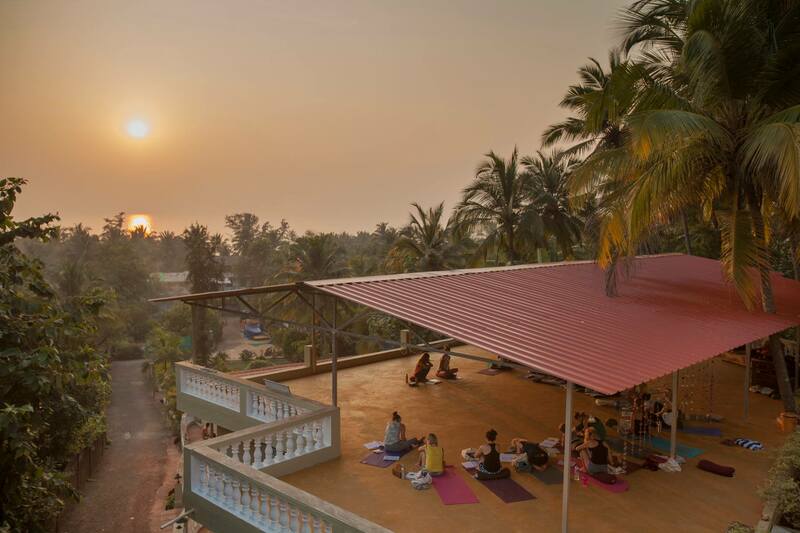 If you are a yoga teacher and want to host your yoga retreat at Sampoorna Yoga from 1st Oct – 31st May, please drop-us an email at [email protected]. Relax and unwind on a Sampoorna Yoga holiday. Sampoorna Yoga Holidays offers the chance to indulge in daily yoga classes without committing to a full retreat. You’ll benefit from the same beautiful setting, great vegetarian food and comfortable accommodations, for a time frame and date that suit you. Alongside two daily yoga classes your stay will include shared or single accommodation, three meals a day, herbal tea/ chai and unlimited filtered water. Our service staff will be happy to help you organise excursions, boat trips or any other activities you may be interested in. Between these times, you are welcome to rest and restore in the tranquil gardens at Sampoorna Yoga Village or to explore to the local area, spend time on the beach, or whatever else you so desire! The classes offered at Sampoorna are beginner to intermediate level where students will have plenty of opportunity, space and freedom to either practice simpler versions or advanced variations of the postures without any judgment. On Sundays, there is no afternoon class. You are welcome to self-practice in our shalas or you may rent a bike and be on your own.